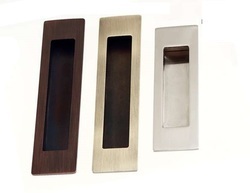 Our product range includes a wide range of precision sheet metal fabrication services and brass flush puller handles. Coating plating,painting (liquid or powder) and screening. PRECISION METAL WORKS offers a full range of manufacturing services and are dedicated to providing our customers with exceptional service. PRECISION METAL WORKS maintains a staff of employees that are all trained to be quality conscious individuals. We are A full service precision sheet metal fabrication and machine shop specializing in contract manufacturing. When it comes to sheet metal fabrication, we work with all metals using materials such as aluminum, steel, stainless steel, copper, and brass to name a few. 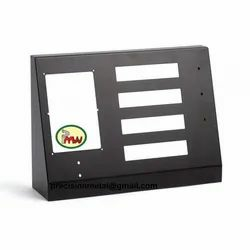 Some of our prototype or production products include chassis, brackets, housings, cavities, panels, enclosures, weldments, frames, and card cages. Servicing the electronic, fiber optics, telecommunications, audio, semiconductor, security and medical industries, we offer high-tech solutions, cutting-edge technologies and a business philosophy based on continuous improvement and our desire to exceed customer expectations using our expertise in CNC punching, machining, forming, stamping, welding and assembly. AsPer your requirements we can accommodate all your sheet metal fabrication, machining, plating, painting (liquid or powder) and screening. Our Ring Puller and Flush Puller are made from solid brass round metal for maximum strength & durability. Available in a different sizes & finishes. This circular brass flush mount pull features finish and can be installed on a sliding door without screws or brads thanks to built-in prongs. Two metal -pins are included for added mounting it on surface. Flush drawer puller is available in 3 sizes 3”, 5” & 8”. Ring puller is available in 2½ inches & 3 inches. Looking for Brass Hardware ?